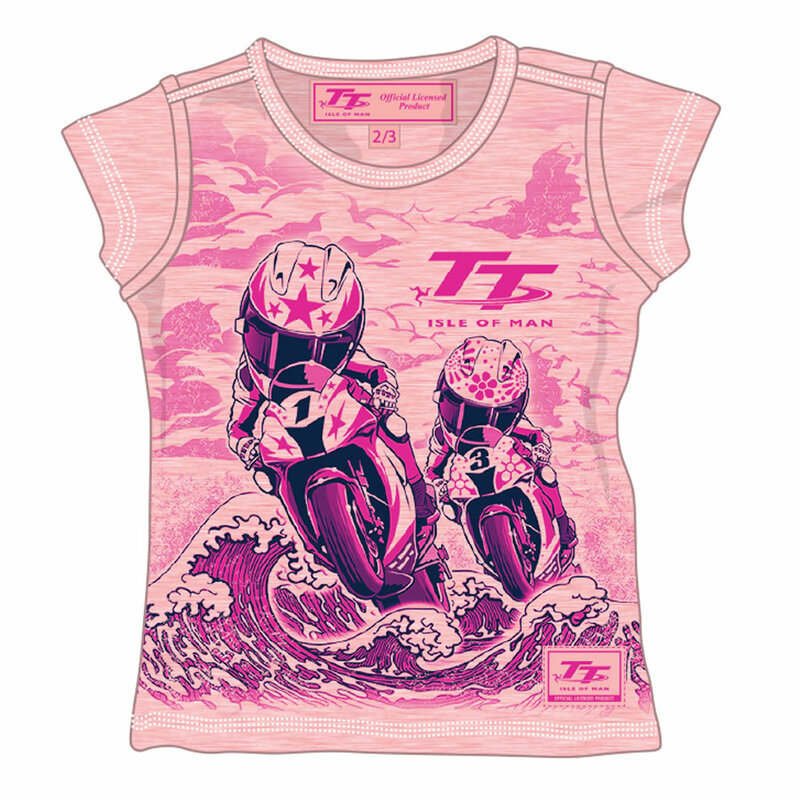 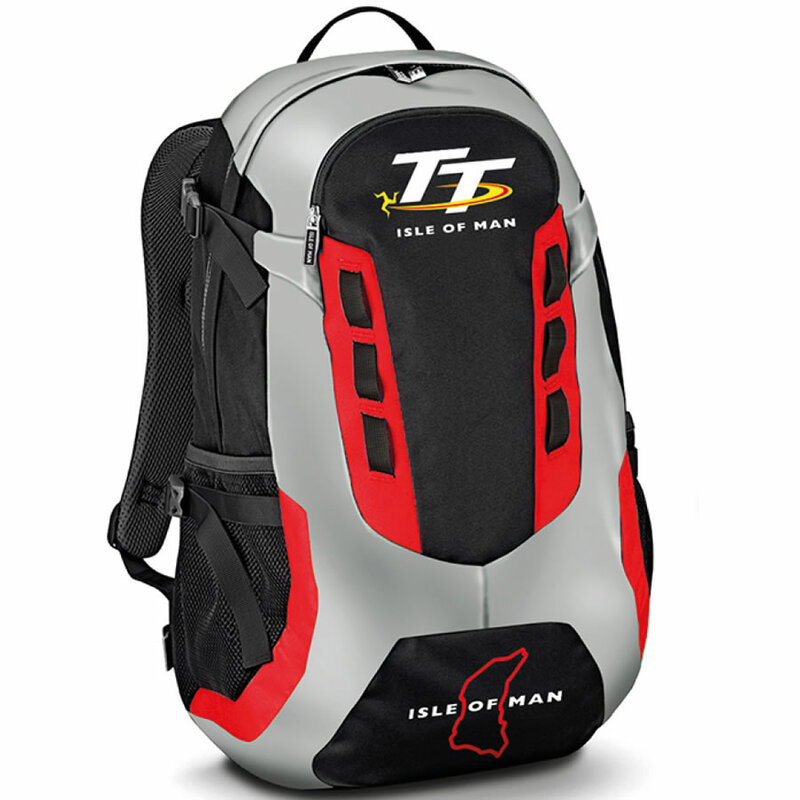 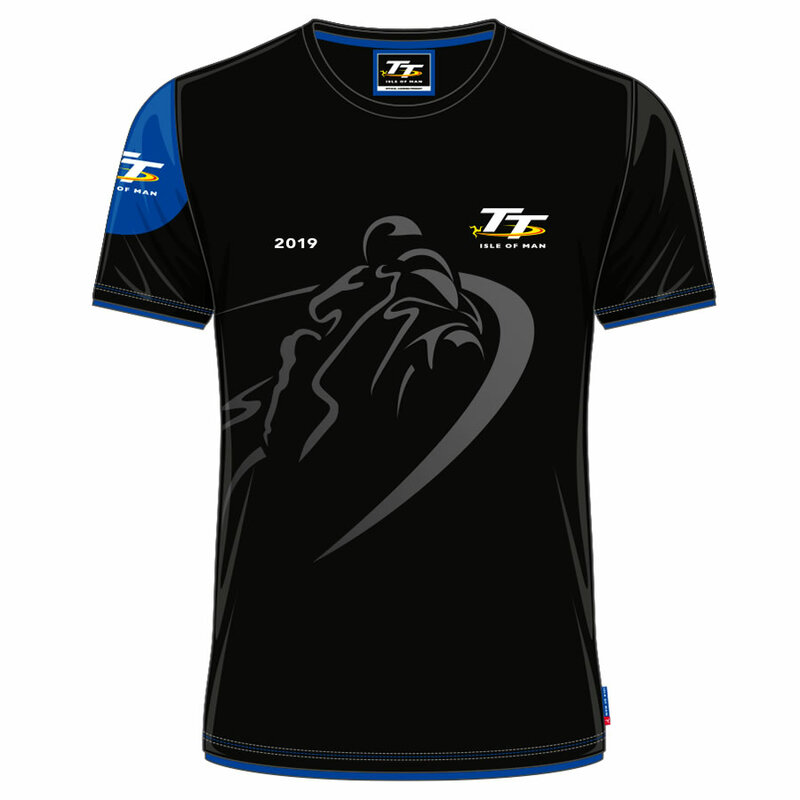 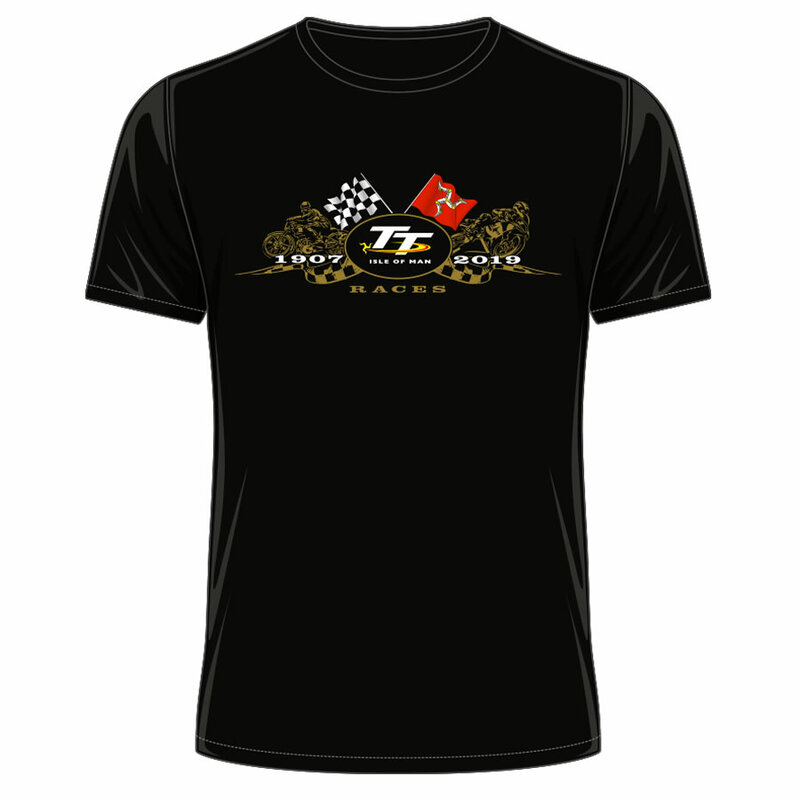 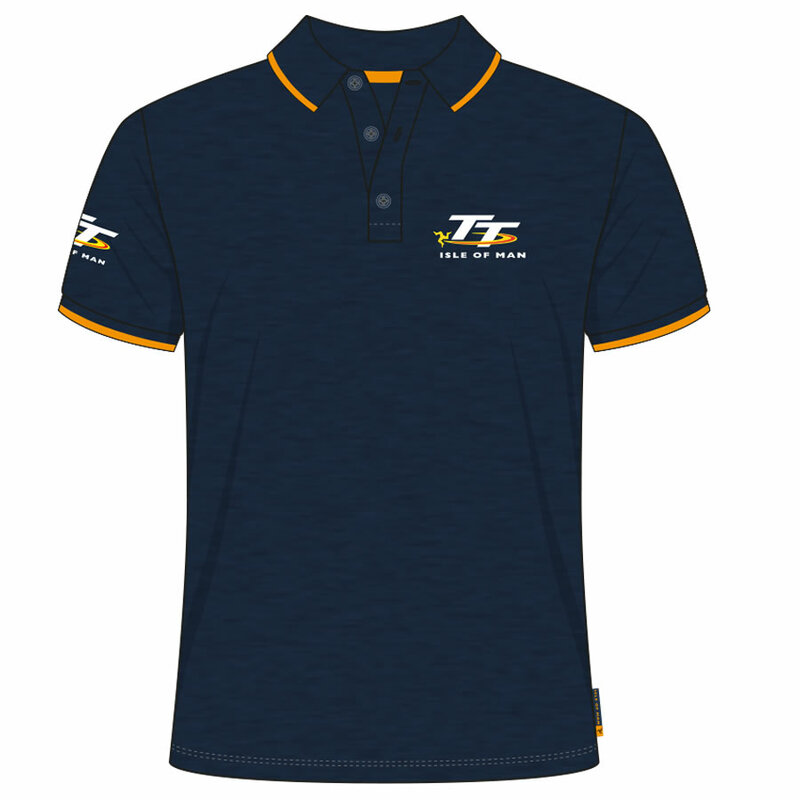 Official Isle of Man TT White Custom T-Shirt with Grey Sleeves and red stitching. 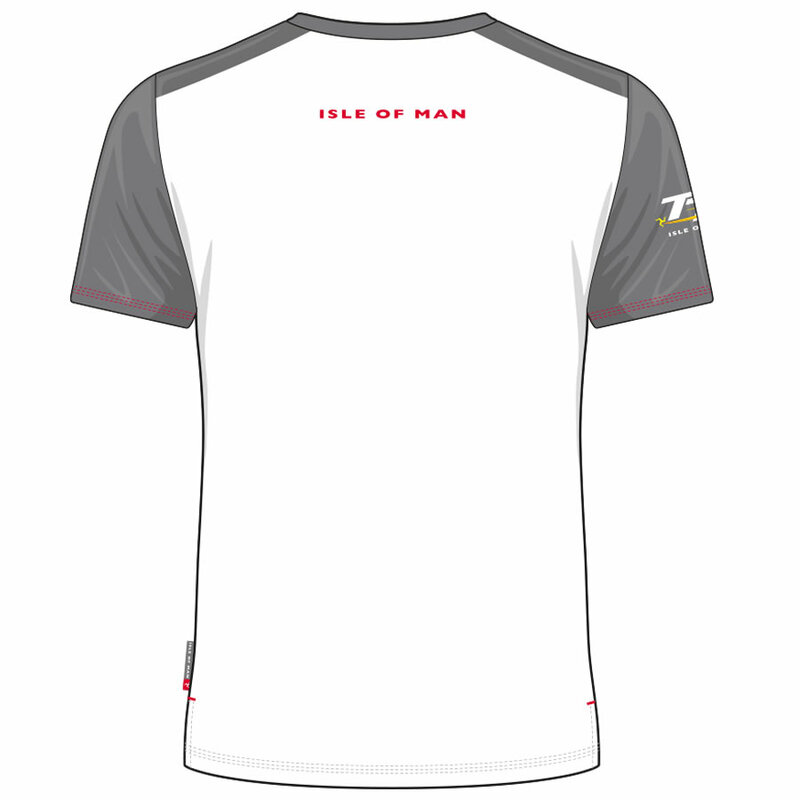 Official Isle of Man TT White Custom T-Shirt with Grey Sleeves and red stitching. 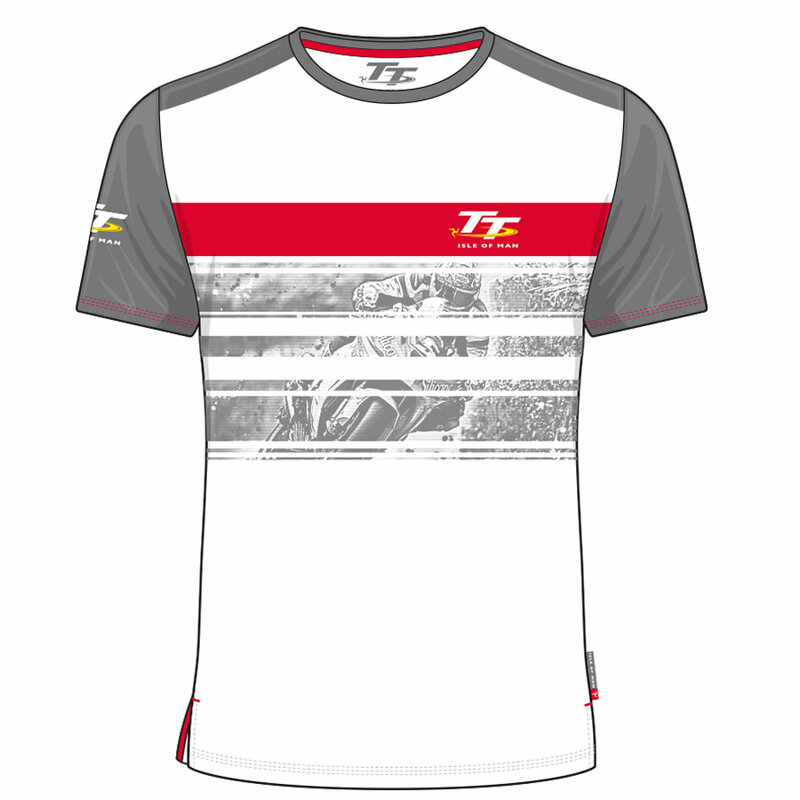 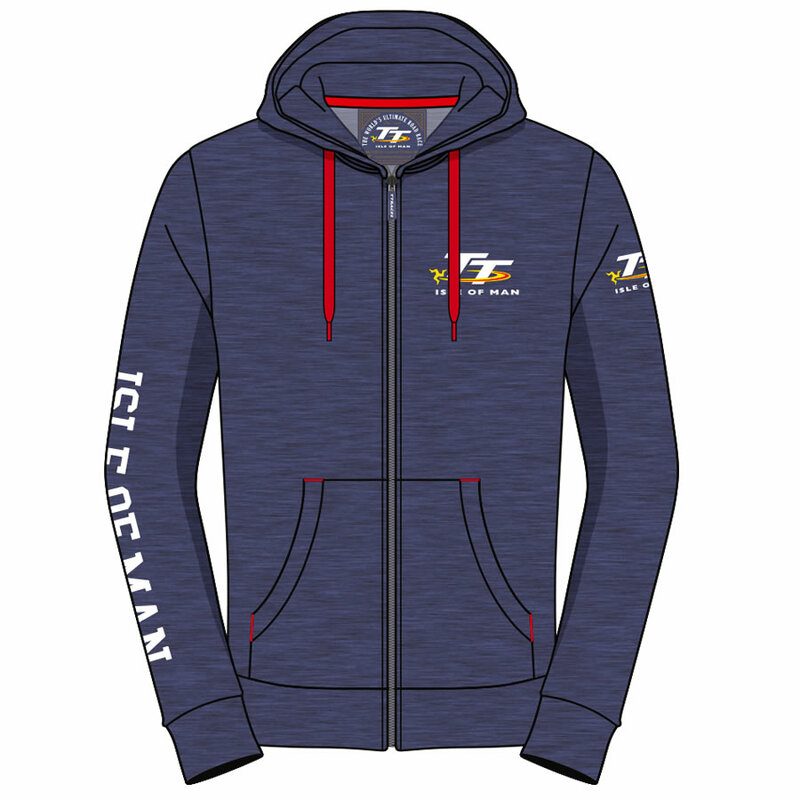 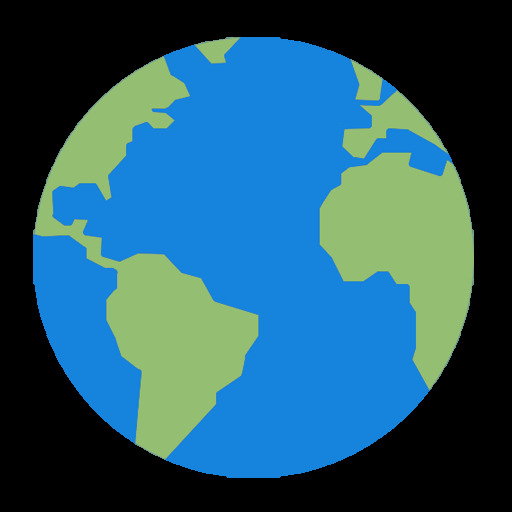 The TT logo is featured to the front on a red panel background and on the right hand sleeve. 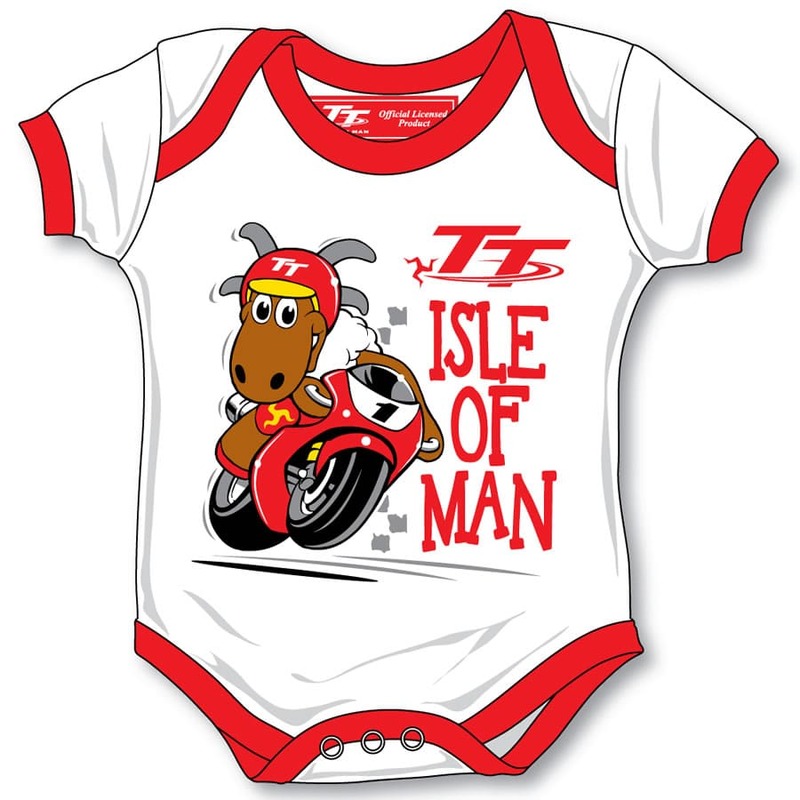 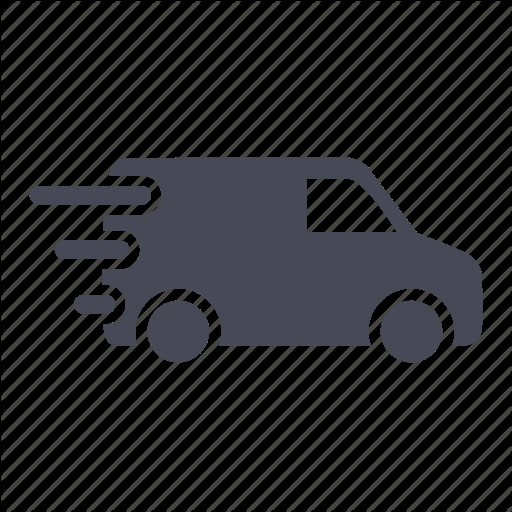 The words "Isle of Man" is written on the back.